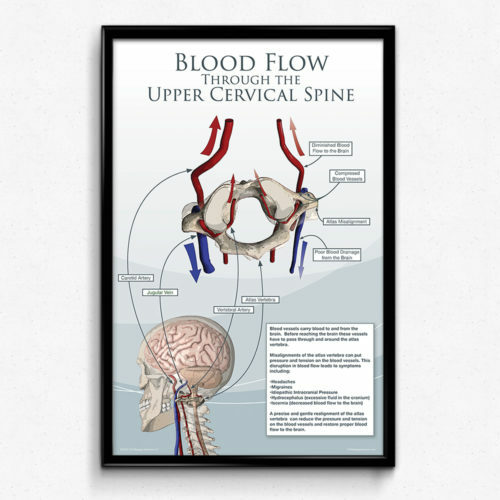 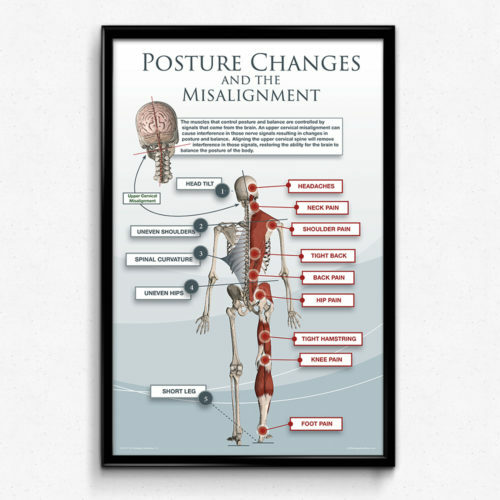 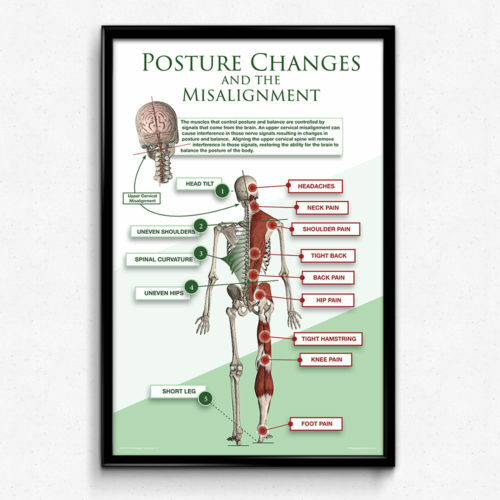 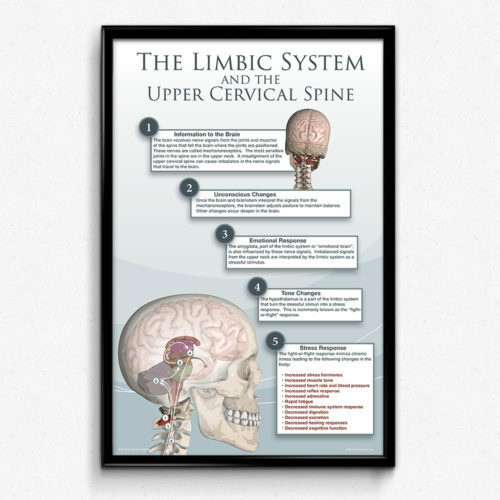 An patient oriented reference poster for the Upper Cervical practice listing the possible effects of a misalignment. A reference poster for the Upper Cervical practice listing the possible effects of a misalignment. 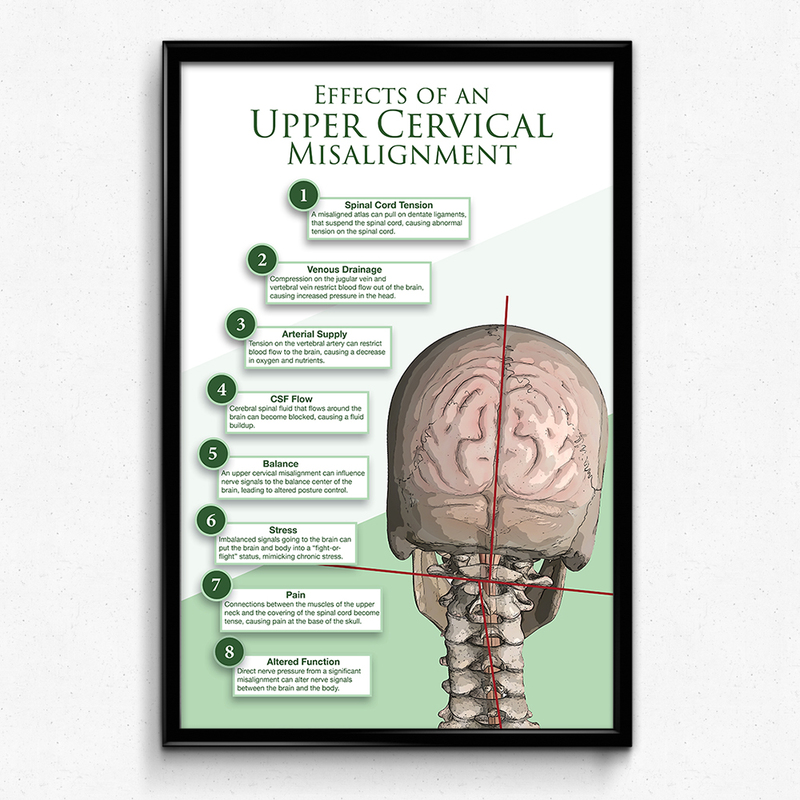 The illustration shows an upper cervical misalignment with lines representing the misaligned structures. 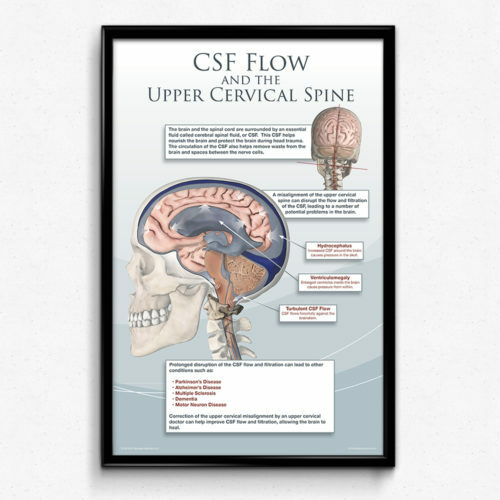 The bones are faded to show the brain, brainstem, and spinal cord below. 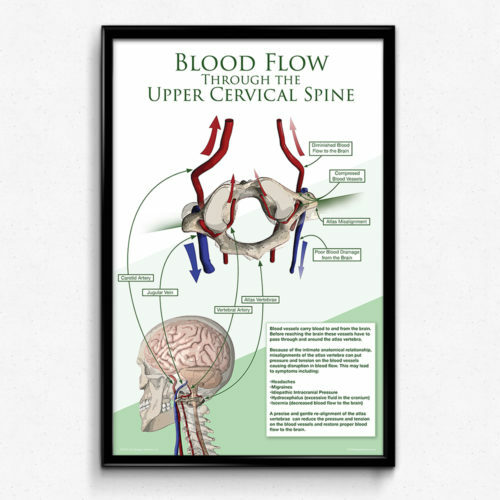 The spinal cord is shown distorted and red to indicate a problem with the nerves due to the misalignment.